Happy Friday! I thought that instead of doing a gift guide for Mother’s Day I would do a personal post about what being a mother means to me. I have to laugh at myself a little when I think back now at the fact that after we got married I wasn’t sure I wanted kids yet. I say yet because ever since I was a little girl I had this dream of having a big family of four or five children but when it actually came to the point where we thought lets try for a baby, suddenly my mind was flooded with all the negatives of how my life would change. My husband was keen to have a baby and I remember saying can’t we wait a little longer and he said what are you waiting for? The truth is I don’t think I had ever truly had to sacrifice anything in my life pre-pregnancy and so the thought of having to do that was terrifying (which in hindsight makes me see just how immature I was.) 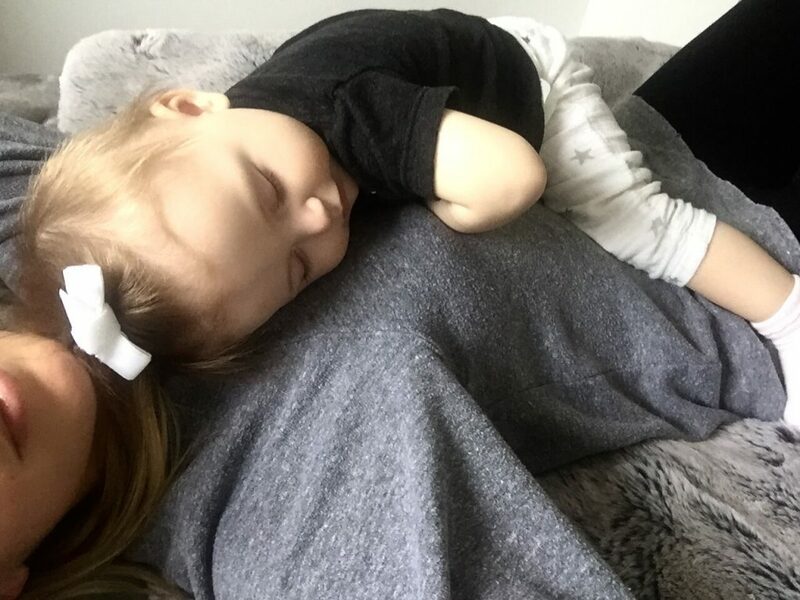 There is NEVER a right time to have a baby and the problem is its impossible to describe to someone that doesnt have a baby just how incredible it is and just how much you stop caring about the fact that your life has changed once you hold your baby in your arms. Mila is the best thing that ever happened to me. Meeting my husband was incredible. He is the absolute love of my life. I had the time of my life with him during our 7 years pre Mila and I am so glad we had that time to just be us. But I think I could have gone on being immature for years if it was just him and I. Having a child changes your perspective on everything. The moment I knew I was pregnant something changed within me. You know that you will forever more be responsible for this person you created and you will always put them first. And it naturally makes you selfless and a better version of the person you were before. It balanced me as a person. She was created out of the crazy love we had for each other and its bonded in a way I never could have imagined. There are so many things I want to tell Mila. If I could have a proper conversation with her I would tell her that she turned my world upside down in the best possible way. I would tell her that she brought me an inner strength I never knew I had. That simply just by being next to her I feel content. That from the moment I met her I stopped caring so much about the rest of the world because to her I am her world. That I would go to the ends of the earth for her and that I will protect her for the rest of my life in the best way I know how. That I hope we can grow together and that I hope she will still give me hugs and kisses when she is my age. That she holds her thumb between her finger exactly in the same way that I do which is exactly the same that my grandmother did (how incredible is that?!) That she is so full of life and all I want for her is to be happy. To grow up happy. To stay happy. That I wish I could press pause because I will never get the moments back that have already gone. I will never get that cuddle again. But at the same time I cant wait to watch her grow and become the person that she is meant to be. That I think she is the most amazing baby in the world. That I love her with all of my heart. And that the love I feel is an indescribable all-encompassing bursting at the seams fairytale kind of love. It is love in its purest form. I understand my own mother so much better since becoming a mother myself. I have always been extremely close with her but thats not to say its always easy. Being a mother isn’t always easy. There is no correct way to bring up your children. You have no idea if the decisions you are making at the time are the correct ones. But its made me realise how incredibly much my mother loves me. That once upon a time I was a baby in her arms and she felt the way about me that I now do about Mila. I remember her being my world and loving her so much that I would always say to her that when the time comes that we have to leave this earth, we have to do it together hand in hand because I couldn’t bear the thought of being without her even for a day.